The perfect glaze. Simply brush on meat or vegetables before baking or roasting. Made with North Coast Brewery’s Red Seal Ale. 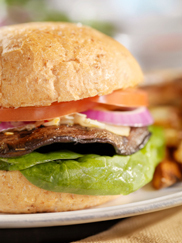 Assertive heat, robust flavor and the intriguing crunch of brown and yellow mustard seeds. A tasty dip with pretzels or breadsticks. Both mustards are certified kosher. For three years, Mike worked for Rising Tide Sea Vegetables in Mendocino before deciding to buy his own business. 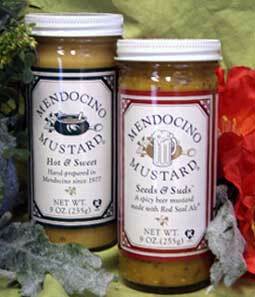 A mutual friend mentioned that Devora Rossman, founder of Mendocino Mustard, was nearing retirement and might be interested in selling her business.